Baku Olympics Stadium is a large part of Azerbaijan’s project to construct infrastructure and facilities to host an upcoming European Games. 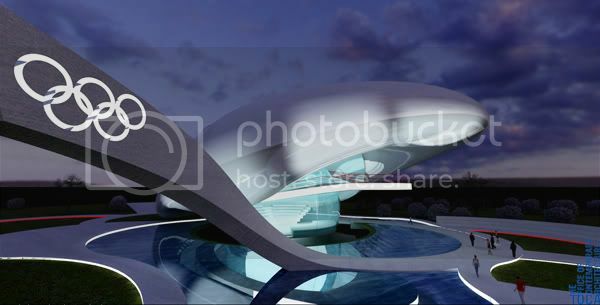 To do so, Heerim has formed and assigned a design team solely for the Baku Project in November, 2012. Located in the center of new town, The Baku Olympics Stadium is easily accessible via public transportations and through other well-established infrastructure. Baku Olympic Stadium sits on 496,000m2 site and this 60m tall, 6 floors high facility will hold 68,000 seats. The Baku Stadium is undisputedly designed to be one of the best stadiums ever built with its top-notch facilities, including supplementary stadium and the Olympic Park. Last but not least, the Baku Stadium will become the next landmark of the city by closely integrating it with the daily lives of Baku citizens. Last edited by Galandar; September 5th, 2013 at 11:51 PM. Правительство Азербайджана начинает реализацию проекта строительства в столице страны крупнейшего стадиона Baku Olympic Stadium. Как стало известно Fineko/abc.az из информированных источников, вскоре будет объявлен тендер на строительство стадиона. «Baku Olympic Stadium будет иметь наибольший потенциал вместимости в регионе. Стадион вместимостью 65 тыс. человек будет включать в себя магазины, места для проведения спортивных и других мероприятий», - сообщил источник. Ориентировочная закрытая площадь стадиона составит 300 тыс. м2, а общая площадь будет составлять 32 гектара. Стадион будет построен возле озера Бёюк-Шор. Проект Baku Olympic Stadium был разработан турецкой компанией ТОСА. Компания также будет выполнять контроль над строительством. Пока самый большой стадион Азербайджана имени Т.Бахрамова вмещает до 37 тыс. человек. 1. Is this final renders or it can be changed? 2. How many places stadium will have: 65000 or 60000 as previously stated? 3. Construction will be in 2011? The project preparation is over and the tender on the construction will be announced soon. So the construction works are expected to start this year. 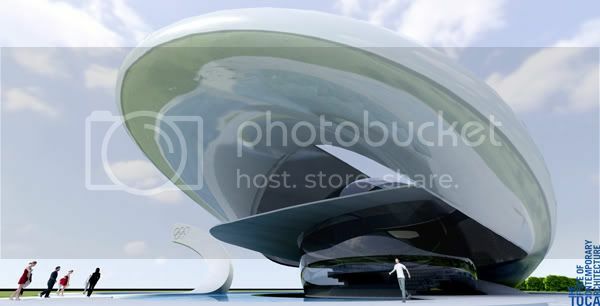 It will be a 65 000 stadium located between Azizbeyov and Sabunchu circles. Nice project, I hope that Baky will get Olympic games 2020. 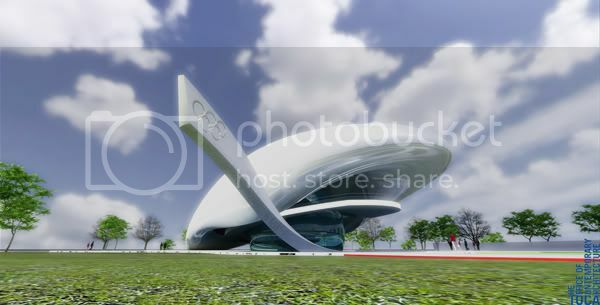 I saw this project in the Best Projects 2010 Contest, Sport Facilities category. Wow, it must be great stadium..
cok güzel bir stad ama gazino isiklari bence stadi ucuz gösteriyor. Türkiye'de de gazino isiklari bu ara moda oldu! В этом году будет дан старт или я неправельно понял? what the hell is that? what happened with the previous project?